The 3rd Annual Almost Solstice Ride will be on Sunday Dec 18 in Downtown! 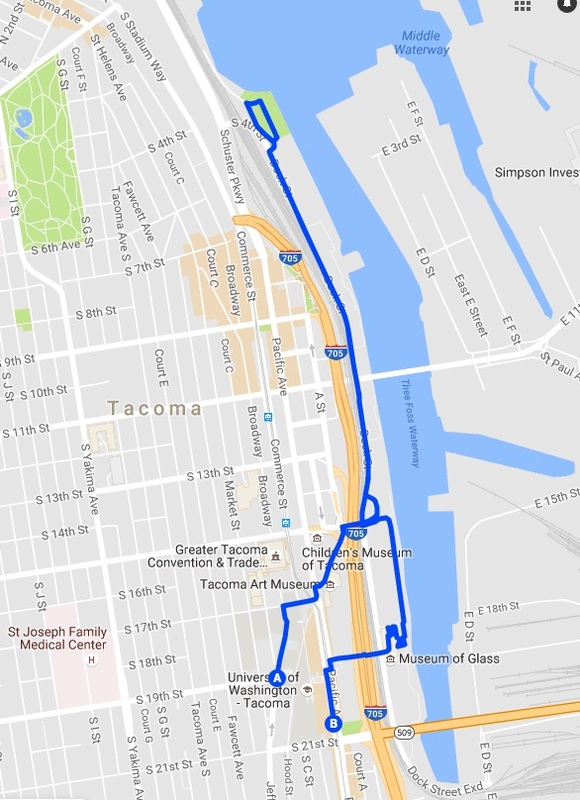 Meet at the top of the UWT Grand Staircase (1900 Jefferson Street, Tacoma) at 11am for a ride to Thea's Park. Afterward we'll head to the Harmon Brewery and Restaurant to brainstorm ideas for our 2017 ride calendar. The first round of hot chocolate is on us. As usual we'll be riding in the street, following the Rules of the Road. Kids should be accompanied by an adult and helmets are required. Dress in layers as it will be cold; gloves are a must this time of year. 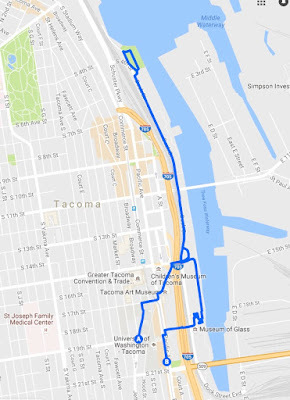 The route is a little over 3 miles. (No training wheels or balance bikes on this route, please.) We'll pass a segment of Prairie Line Trail under construction and practice some technical bike handling skills on the Glass Museum ramps. Big finish on the Bridge of Glass! If you are planning to stick around after the ride, the Harmon Brewery & Restaurant has all day Happy Hour on Sundays and kids eat free with the purchase of an entrée. We'll bring an extra lock or two and a long cable. RSVP on Facebook. 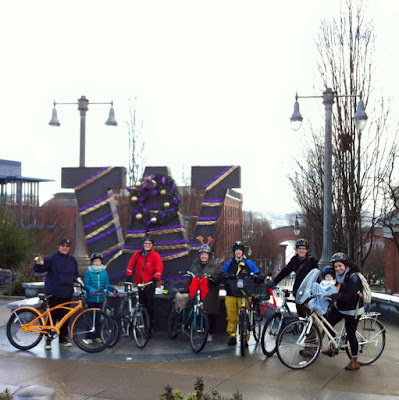 Thanks to the Tacoma Washington Bicycle Club for sponsoring our events!